This week I have tried Kefir for the first time. I bought Polish ‘Kefir Naturalny made by Milko’ in Dominik’s, a Polish deli on High Street, Walthamstow (opposite Lidl). It says on the kefir carton that it is 1.5% fat, natural pasteurised buttermilk with raw milk bacteria – Lactobacilius Casei, 115 kcal per 250ml. I’ve never heard of or tried kefir before but I’m always up for experimenting with something new. So a quick internet search revealed that kefir is a cultured, yogurt-like drink filled with natural gut-friendly micro organisms and pro-biotic bacteria. Apparently it can help balance your digestive system and has essential vitamins and minerals. It can be good if you have been taking antibiotics or can help with bloating, stomach ulcers, IBS and so on. It tastes like a slightly sour drinking yogurt, similar to the Turkish Ayran. This entry was posted in Shopping in E17 and tagged ayran, Dominik's, kefir, Polish, Walthamstow, yogurt. Bookmark the permalink. I absolutely LOVE kefir and I tried this version last week, and I’ve just had a glass at my desk. 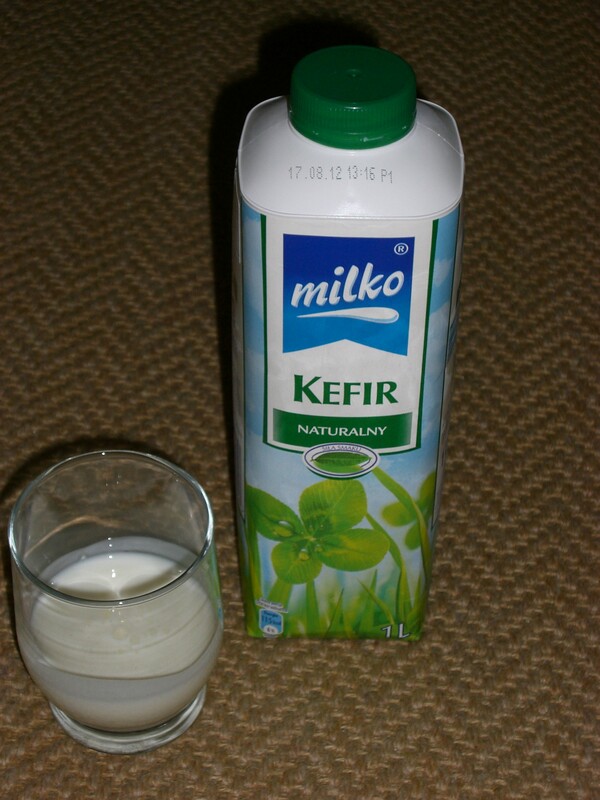 Delicious, creamy, slightly tart (love) gut-friendly drink: I love kefir. I’m reviewing a few Kefir brands, it’d be great to hear your thoughts on it too. Be really interested to know what brand you like best. We tried making our own kefir for a while but like with sourdough cultures you have to be committed!